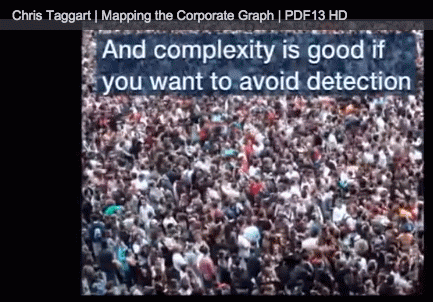 Corporations and the wealthy use complexity and secrecy combined to operate under the radar. This is a big deal-- an approach and system that was a real shock to me. Imagine-- a bank with thousands of subsidiary operations. I'm not talking about branch outlets for the public. 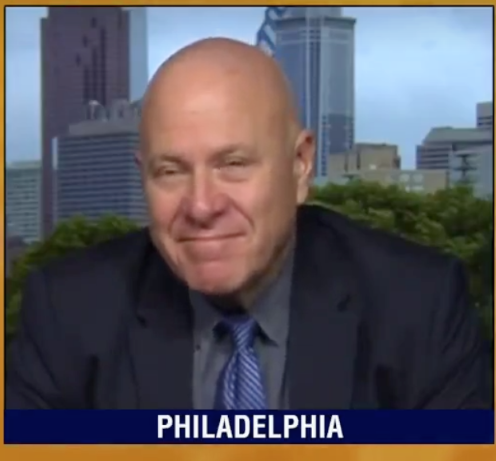 I'm talking about subsidiaries created to hide what is being done by whom and what. That is the current state of capitalism. It is designed for evading, skirting and totally breaking the law and avoiding paying taxes and externality costs. it is system that should not exist. Chris Taggart, of Opencorporates.com, presenting (video) at personaldemocracyforum.com, gave a talk describing how complexity and secrecy are used by corporations. He said, "this complexity is really great if you want to avoid detection, if you don't want to be supervised, if you don't want people to know what you are doing. One of the groups that really loves this is criminals.... it also provides powerful incentives to do bad behavior." "The complexity of these things is absolutely mind-blowing. Lehman brothers, just before it went to the wall, it's last filings with SEC filing had something like 300 subsidiaries in its filing disclosed. 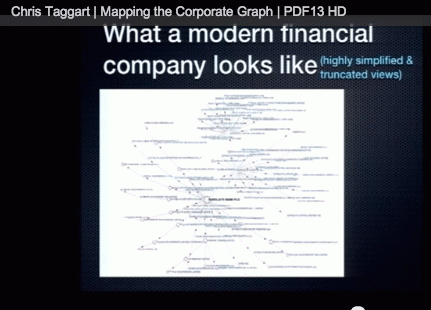 But the bank of international settlements subsequently did an audit of it and found 2985 legal entities... "
Here's a opencorporates' map of Barclay's-- just three levels worth. This incredibly complex system, designed to create layer after layer of secrecy, is rarely discussed. It should be brought up by news organizations every day. 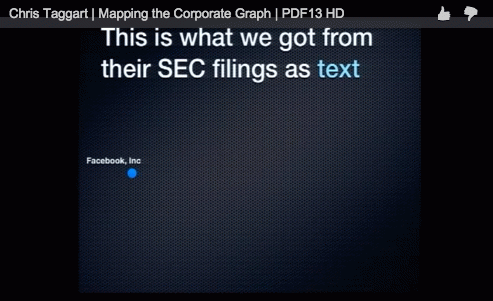 Every time a company is mentioned, instead of just showing its stock abbreviation, a map of all the subsidiaries should be shown, or even better all subsidiaries and individuals and organizations the company deals with. 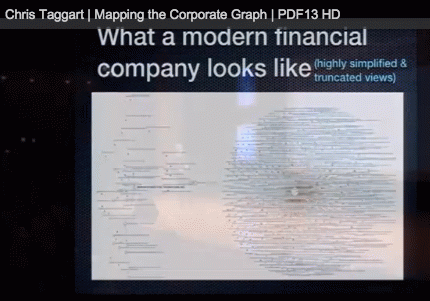 Here's an incredible static view of a dynamic map from opencorporates.com which shows the 4000 plus Goldman Sachs subsidiaries, some running ten layers deep. The above examples apply to banks, but the same applies to all kinds of corporations. 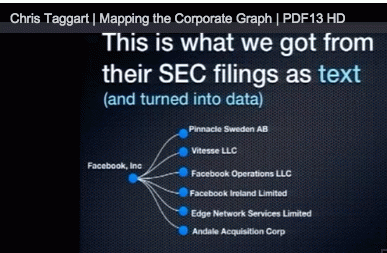 Taggart showed some steps in doing an analysis of Facebook. Facebook, for example has an astonishing web of corporate identities spread throughout the world. 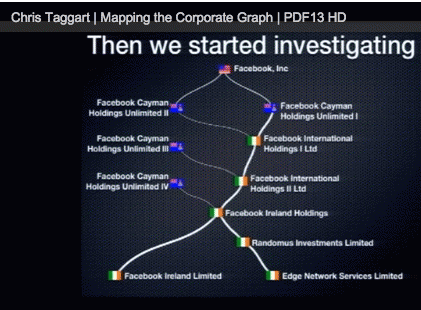 Then they dug in to two of the above subsidiaries in Ireland and found this info that was also not disclosed on SEC filings. The cluster on the left is not listed the usual way. It was found using crowd sourcing. The opencorporates.com site is a powerful tool. I don't expect most readers to dive in and build something with their API (application programming interface-- Opednews using numerous APIs in different parts of the custom designed Populum content management system.) But my hope is that when you see the name of a big company, you start thinking of it as a web or network of hundreds, if not thousands of veiled subsidiaries operating with multiple levels of complexity and secrecy. Series: "Corporatism and Corporate Personhood"
View All 32 Articles in "Corporatism and Corporate Personhood"
View All 37 Articles in "Economics"